Is your microwave in Markham, Ontario, not heating? Does it spark or doesn’t latch? Regardless of the problem, call us. We are the microwave repair Markham experts near you. Trust our experts to examine the issue with your home microwave oven and offer same day solutions. Aware of the importance of this small kitchen appliance, our techs from Appliance Repair Markham do their very best to serve your needs as soon as they can. To make sure your microwave oven is fixed right, we bring along an assortment of microwave repair parts. Since these appliances often break down due to burn out components, we simply replace them. We provide local service in timely fashion and always check before we fix the appliance. 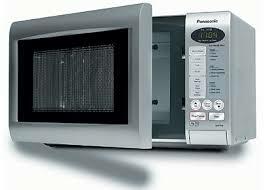 Microwave service is provided by trained and updated technicians with huge experience in these small appliances. Is yours a regular counter top unit? Is it built-in or over the range? No matter of its type and brand, we have the qualifications to repair it. Call us if you have questions about our quotes or want to schedule microwave repair in Markham with us.